I got a little overzealous when I bought blueberries last week. It’s a shame that Cooper decided he doesn’t like blueberries this year. KIDS! I wondered if I could get him to eat blueberries in cake form? Do you think it worked?? Nope. 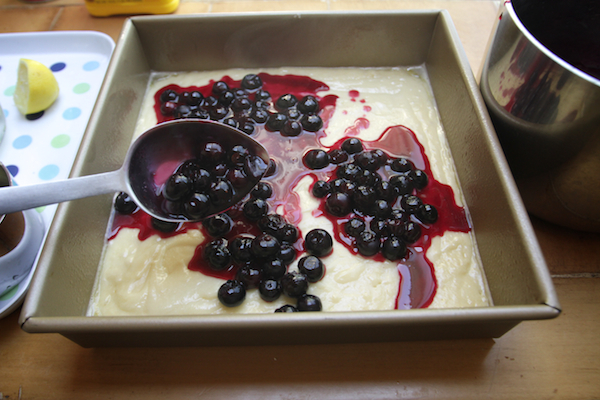 Just two adults eating Blueberry Pudding Cake out of a pan….in addition to these three bowls. I always serve up an extra bowl for an imaginary guest. That bowl is YOURS. There’s also something to the idea behind decorating in threes. 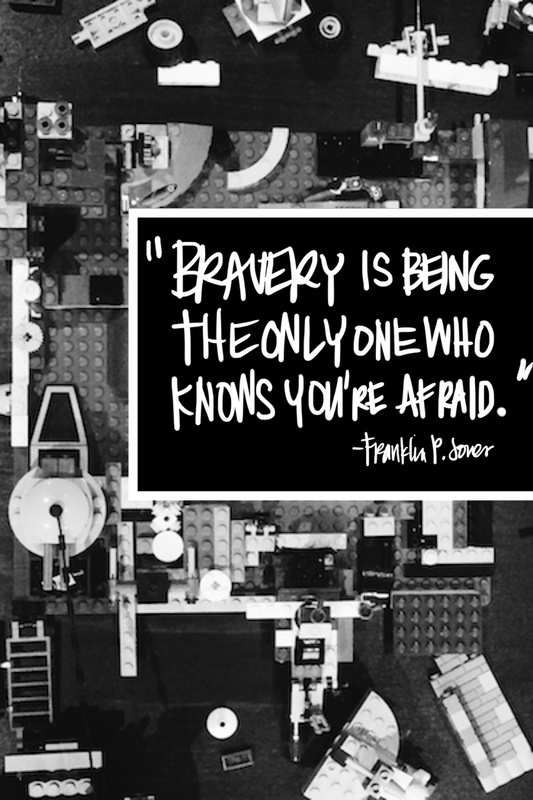 You just gotta. It’s like a thin warm blueberry muffin served up in a bowl. 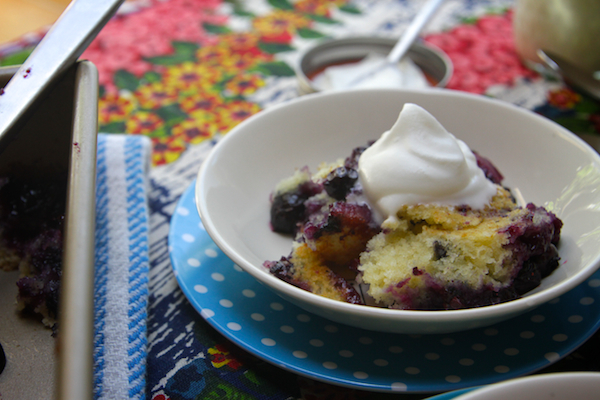 If you like a little cake with your blueberries, this one’s for you. Amazing. I guess part of me is glad he doesn’t like blueberries. Not my thigh part. Unless thick thighs are in season. First up! Heat up the blueberries. We’re making a lil’ sauce. We don’t wanna cook them, we just wanna release some juice and thicken that juice. 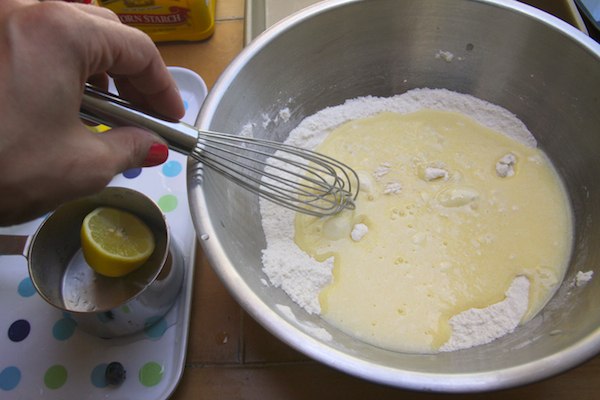 Mix wet ingredients right in the measuring cup. Less mess! Wet ingredients meet dry. I put that shot of my thumb in there just to prove that I wore coral nail polish. 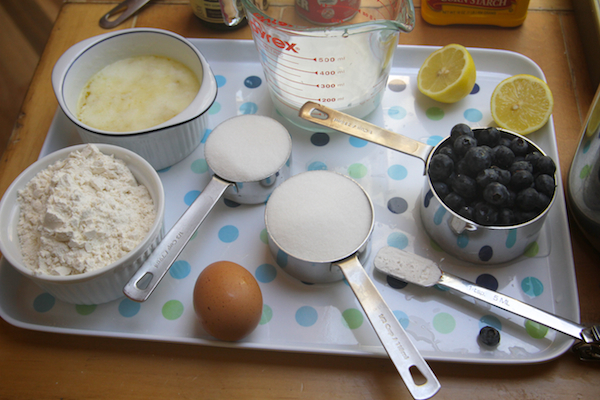 Spoon the blueberries on top of the cake batter. Yeah…go ahead and drool. I’m gonna show you how to make whipped cream in a jar. 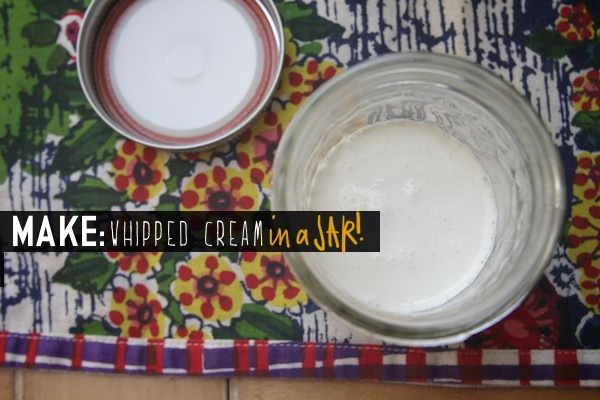 Whipping cream in a jar. Lid on the jar. SHAKE IT LIKE A POLAROID PICTURE. I walked around my kitchen cleaning things up one handed while shaking. 3 minutes-ish. I burned exactly 1000 calories….in my dreams. Look at that! Instant whipped cream. Greatest party trick ever. 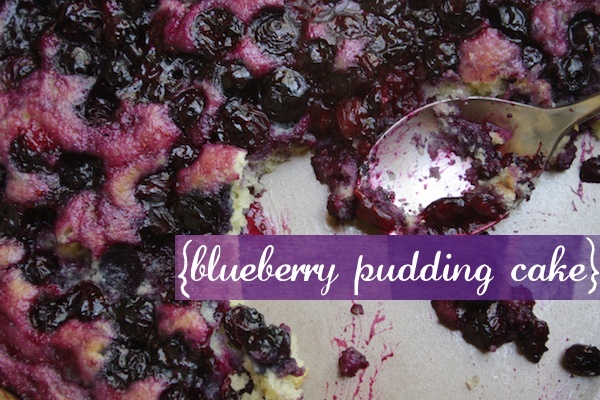 Scoop out a hunk of blueberry pudding cake in a bowl. Add a dollop of whipped cream. 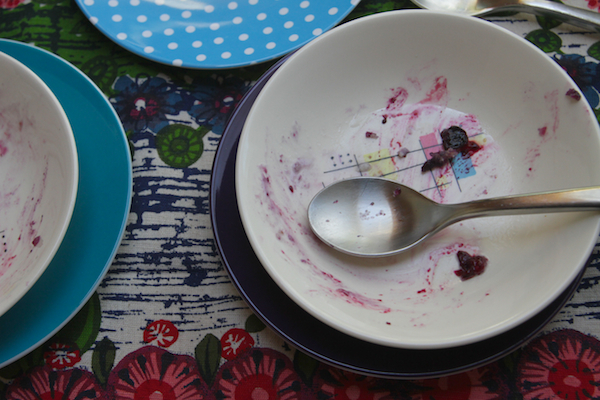 One blink of an eye…and three bowls later. Wooooooops. I said goodbye to bathing suit season 4 years ago for this very reason. 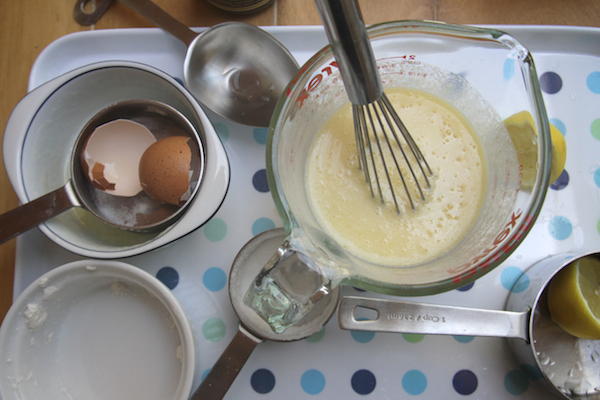 To make whipping cream, put some in a jar, close the lid and shake vigorously for 2-3 minutes. 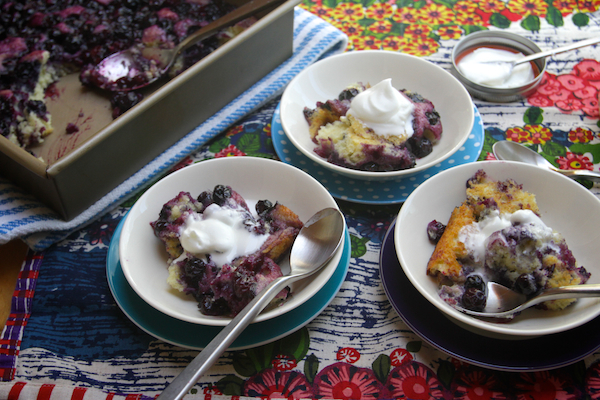 Serve blueberry pudding cake warm with a dollop of whipped cream on top. 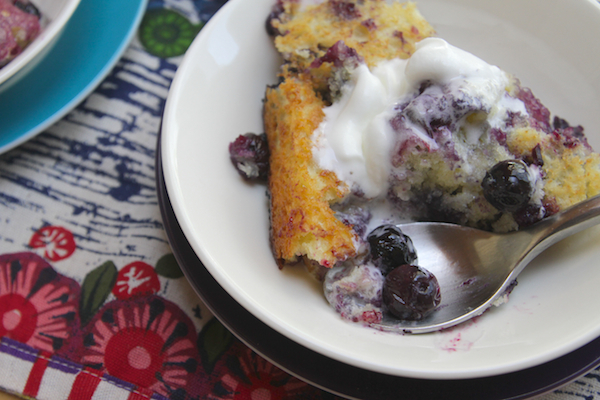 This cake is properly bursting with berries, I love it! If you manage it, share your tricks! Do it up!!! Lemme know how it goes! Did it! 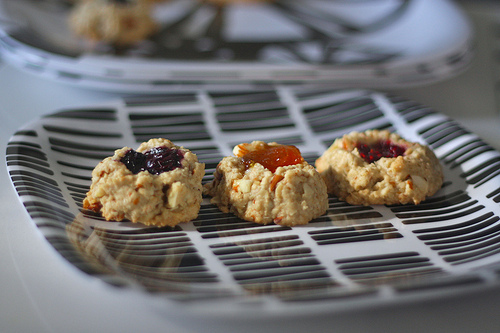 Sorry it took so long, but I finally made a grain-free, dairy-free, refined-sugar free version. Thanks for the inspiration! 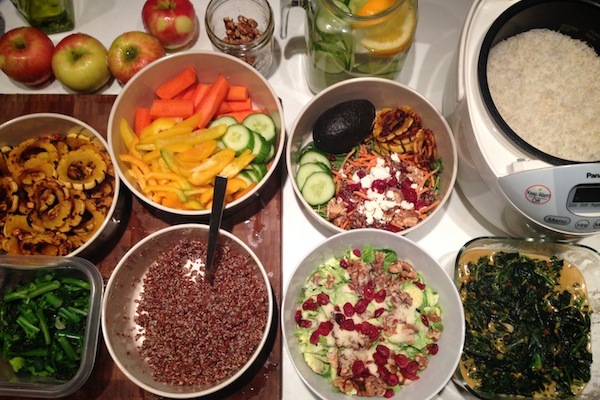 Oh man, I know what I’ll be making for dinner tomorrow – thanks! A question for you: can you shake a jar with one hand and wipe the counter with the other? I generally can’t do those coordination things..
Shakeable whipped cream?! HELLO! This cake sounds so freaking delicious. I love it! Love your Pics, wondering if you would what photo editing program you use? I use photoshop and sometimes Pixelmator. Why can’t blueberry season last foreva??? My thick thighs and tummy sure do! Never saw that whipped cream trick before. It’s nifty neat-o! I will have to give it a try. Happy 4th. seriously! 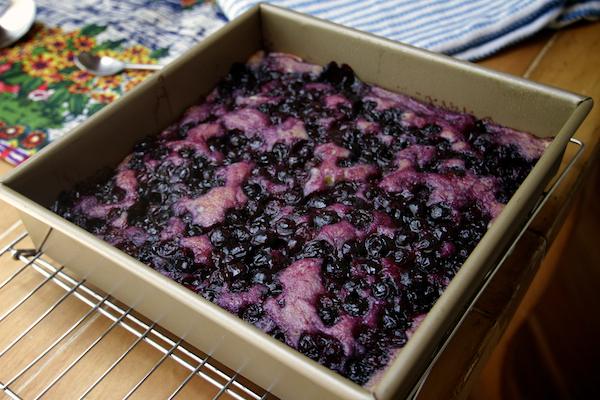 I guess it can…we do have access to frozen blueberries year round. Happy 4th to you, Jane!! That whipped cream trick is great! Whoa. This looks super good! I bet this could totally be breakfast. Hell yes. Gorgeous, Tracy! I feel silly that I had no idea you could make whipped cream in a jar. Will definitely be trying that this summer! Hi Tracy! I just wanted to let you know that your photos rock. They are always full of color and vibrance. If you don’t mind me asking, what lens are you using? Your photos are so crisp but not blurred in any way. BTW, I am signed up for the class with you and Joy at the end of the month and I can’t wait! I’m so excited to meet you Jackie! I have a Tamron Lens. It’s a 17-35mm. I love it! I’ll show it to you when you’re at the class. YAY!!!! OMG, how could coop, not like this? I know……kids are crazy. I especially love when they decide that they don’t like something, they loved yesterday. Argh!! BTW, don’t know if you changed anything, but the page loaded faster today, and without freezing, YAY. Perhaps it’s all in my head, or maybe you did something. Either way I’m very happy, because I love reading your blog, it’s always so beautiful, plus you’re pretty funny to boot. I’ll keep shaking jars for my whole life. I absolutely DID drool at this recipe. Gorgeous blueberries! I’m making this pronto. Too bad for Cooper, his lost! Beautiful looking cake! wait a second…did you really just do that to whipping cream? HOLY MACKAREL. thick thighs are totes in. whipped cream in a jar!? purple cake! it’s all too good! seriously. your thick thigh are not thick. look at mine. nuff said. I see my fourthajuly breakfast!!!!! This recipe makes me want to cry and gorge all at the same time. 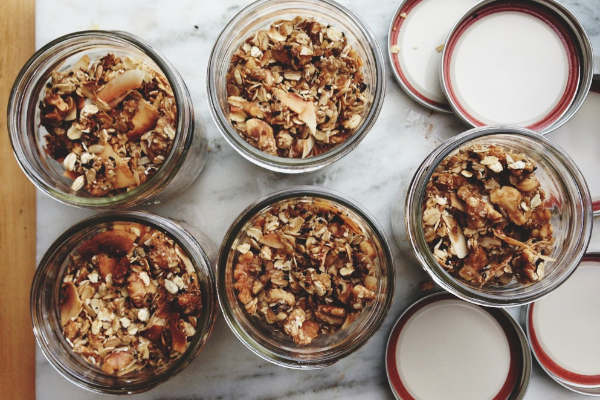 Whip Cream in a jar is totally brilliant. And I want this immediately! I like that! I want it for breakfast! Our cake didn’t last til breakfast time. Sad face. 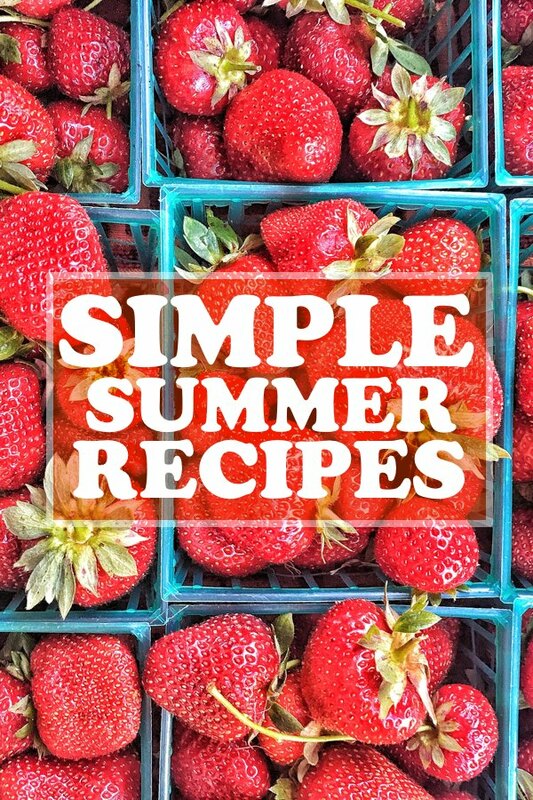 Would I be able to substitute blackberries or raspberries without having to change up the recipe? Either way, it looks awesome and easy, can’t wait to make it! 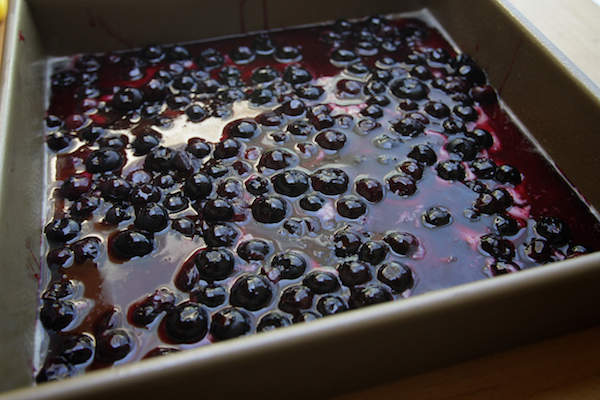 the nice thing about the blueberries is that they’re small so they sink to the bottom of the cake. I can imagine that blackberries might not do the same. Raspberries could work, but then you wouldn’t need to heat them up and maybe a little syrup- they won’t keep their shape. Hmmmm. A perfect pie/cake slice is overrated. I’m totes doing whipped cream in a jar tomo for the 4th… genius! God, woman, you’re the temptress. I want this right now. And I think I’ll try making these with different summer fruits. Thanks! Girl! You tempt me all the time on Instagram. Shucks! I totally use the mixing in the measuring cup trick too. Looks delicious! I cannot believe you made whipped cream in a jar!! that’s totally impressive. I have a feeling you will too! must explore pudding cakes more! Thanks for the reminder. Would this work with other berries? Blackberries? 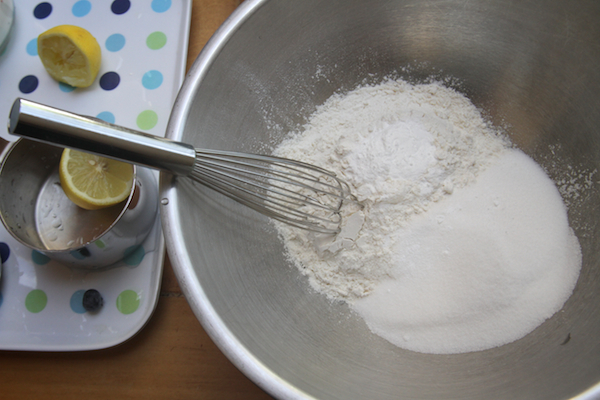 Hmm…..a little baking puzzle to tackle on vacay. That whipped cream in a jar trick is beyond brilliant! And the cake? Droooooool. This is going to be made! And then consumed!! Thanks! And love the Liz Lemon reference! Lady, this is too good. Tooo good! I think I’m going to have to spend some time with your juices first! Ummm…I need to be juicing after that cake! Like everyone else, I astounded by the whipped cream in a jar thing! You are so smart. I’m going to show my mom, she’ll love it as she is both the homemade whipped cream and workout queen! Oh man…I wish I could take credit for it. I saw it online somewhere! It’s MAGICAL! What happened to my bowl? That looks great- I’m trying that! Whipped cream in a jar?! This is happening on my 4th of July! Silly, Cooper! He doesn’t know what he’s missing! 😉 If you have any leftovers, I have no problem being on clean up duty! Awesome recipe, thanks for anther keeper! 1. This looks like such a lovely summer dessert! I totally thought you were going to say that Cooper loved it in cake form…how could he not?! I’ll take that third serving now, please. Or better yet, I’ll make it so I’ll have the whole pan!! 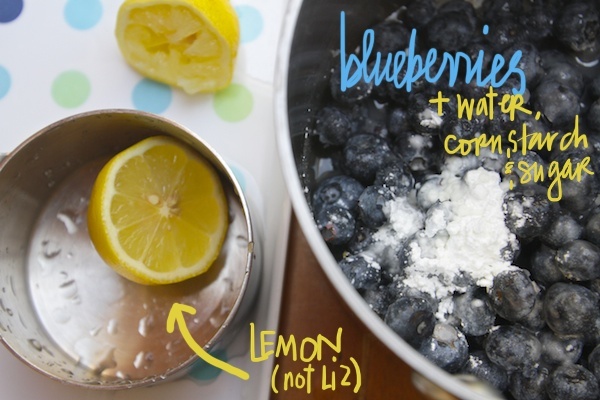 2.Love the Lemon (not Liz) bit! 3. 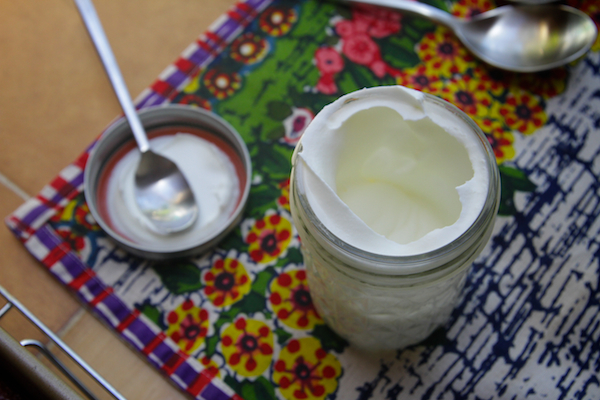 Whipped cream in a jar…whoa! That is awesome!! Good luck on the DNA tests! I made this yesterday for my fam’s party! This was a MAJOR hit, especially with some added fresh berries on top. Everyone at the party had already stuffed themselves, but made just a leeetle bit more room for the cake. Thanks for such a great recipe! That’s it. This cake is happening and my body officially hates me. ohmysweetlord that cake is divine!! I just made it today and it’s almost gone. Gone! Oh, I think it’s one of my guy’s fave desserts so far. p.s. I made it with coconut milk because I didn’t have whipping cream. Totes delish. This is exactly the dessert I crave. Warm, fruity with cream, perfect! This is Sunday Brunch!! 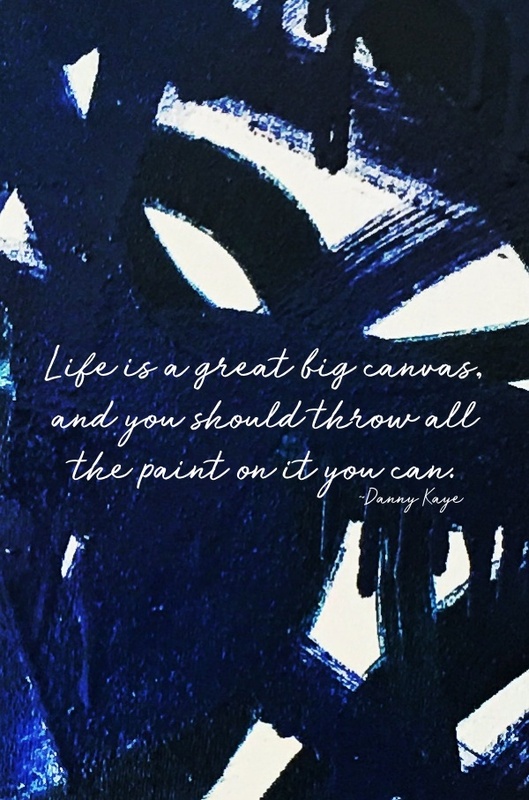 !…Question…Could I use frozen blueberries?..The fresh ones are so OUTRAGEOUSLY expensive in France at the moment..Your writing is hilarious…culinary creations are divine..and I’m so glad I happened onto your blog via “How Sweet It Is”. Thank you for sharing your humour and ingenuity. Hi, Tracy! 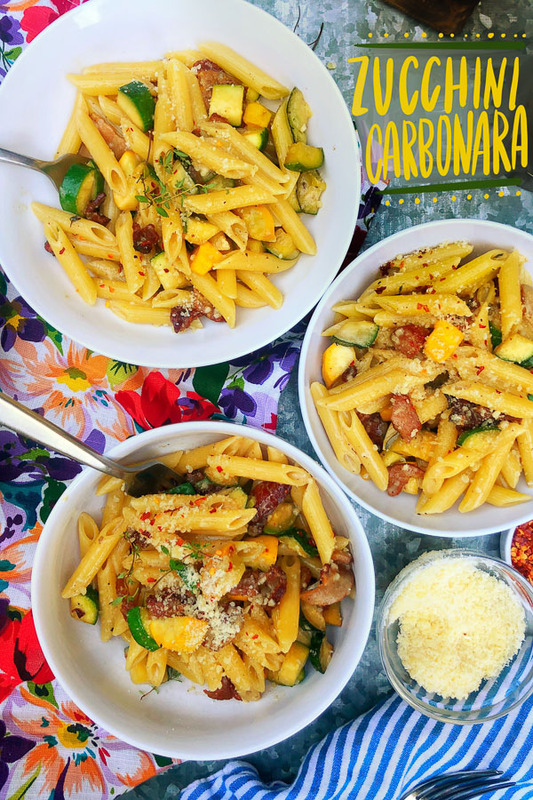 I made this a few weeks ago and it was so great that when my husband took the leftovers to work the next day [the leftovers I was planning on binge-eating for the next few meals] I was so upset I made another one on the spot! 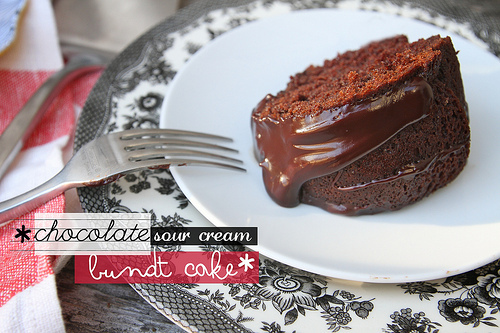 I shared my version with amaretto and links back to yours on my blog, I hope you don’t mind! Thanks for sharing! Decorating in threes? But that’s an odd number! It’s just a rule I have. I want to make this for a bake off contest. Can I bake it a day before the bake off and warm it up in the oven before serving? I suggest baking it the day of. It will get kinda dry & chewy if you reheat it. The appeal is how gooey & moist it is. Good luck! Instead of whipped cream, I wonder if creme fraiche? I meant is if creme fraiche is also a good substitute for whipped cream? I’ve made this twice in the last week, both times for the same set of friends. The first time I made it, my friends said it was one of the best desserts they’ve ever had. How could I not make it for them again?! I adapted it to be gluten free (using a Gluten Free Girl ratio mix) and egg free (made a “flax seed egg”), and it turned out beautifully. Thank you, Tracy! This is definitely going on my “Make Every Summer” list! Fantastic and easy to make! A real keeper! I know this is from a long time ago so you probably won’t see this comment but here goes… I’ve made this cake a few times and it’s really good!!! I’d like to make a winter version next week with cranberries, for seasonality, and because I’ll be with my family and my dad is a blueberry hater. I’ve looked up cranberry proofing cake recipes and they all seem much more complicated than this one… I was thinking that maybe I could just sub in the cranberries, and pre cook them a little longer, with a little more sugar? What do you think?